Trump had acted as magnificently before. I had previously commented on “Trump’s firm, forthright, masterful control” in similar situations, observing that when Trump takes control of the media scrum, he is doing something much more fundamental. As this writer sees it, Trump was doing something much more modest and more valuable. Common rules of procedure are as traditionally Anglo-American as they come. Instinctively did an ethnic agitator seek to sack a common American custom. As reflexively, Donald Trump moved to restore a timeless, civilizing practice. NEW COLUMN IS “Yellow Journalism Of Yellow-Bellied Bob Woodward & The N.Y.Times.” It’s now on Townhall.com, WorldNetDaily.com and the Unz Review. Against this command-and-control apparatus, 60 million Americans rebelled. They liked Trump’s America First ideas enough to elect their champion as president. Hyperbole? Maybe. The FBI under James Comey, Andrew McCabe and now Christopher Wray are easily worse than the WTO. Like the New York Times’ anonymous, op-ed writer, purportedly a member of the Trump administration, Woodward is exposing the Trump White House for nothing more than its attempts to fulfill voter demands. … READ THE REST. NEW COLUMN IS “Yellow Journalism Of Yellow-Bellied Bob Woodward & The N.Y.Times.” It’s now on Townhall.com, WorldNetDaily.com, and the Unz Review. 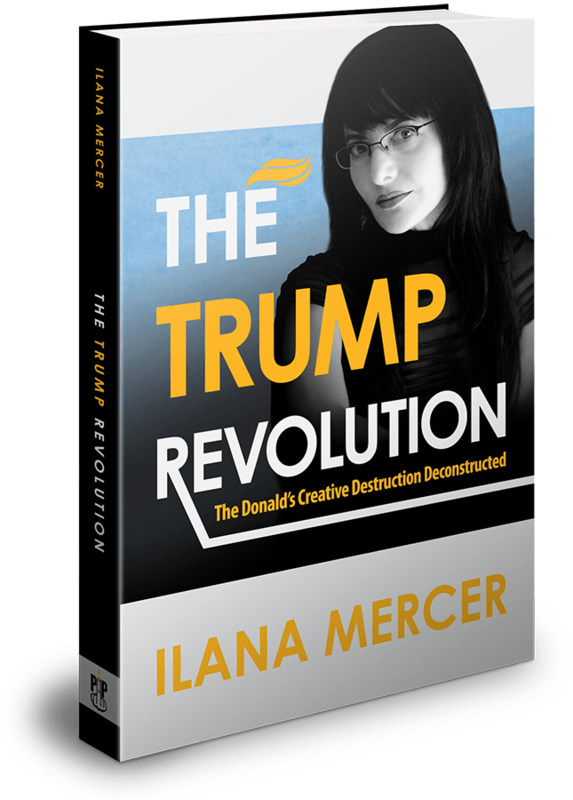 I hope that Ilana Mercer’s columns will appear regularly here on AG. 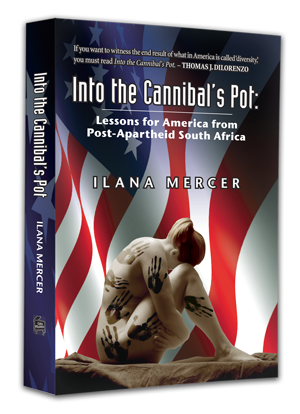 I don’t think I’m exaggerating when I say that this South-African-born writer is among today’s top-10 political intellectuals–for instance, she is rightfully credited with the concept later reworded by Steve Sailer as “invade the world, invite the world.” Whatever subject she touches–from politics to history to art and music–turns to pure gold. She is all that NRO’s Jay Nordlinger ever hopes to be. Well done, AG–great catch. Is Trump Or Isn’t He? ‘Take Me In, Dear Donald,’ Smiled The Never Trumper Snakes. And Donald Did. “Lie Down With The Enemy, Get Up Without The Presidency,” I wrote on 2017/03/16. Trump ran on NOT taking in snakes that’ll bite the American people. A ballad called “The Snake” became a theme along the Trump campaign. Donald Trump seemed to find “The Snake” a powerful metaphor for his campaign’s impetus. Yet as soon as Trump took office, he gathered into his Administration many of the Never Trumper reptiles who had never supported the ideas he ran on. * Diplomacy with Russia and North Korea. * Tough renegotiation of the multilateral trade agreements that had worked against the American worker. * Very little sympathy for European and British leaders (“our allies” in the above op-ed), who’d exposed their own Deplorables—their innocent countrymen—to millions of hibernating snakes from the Middle East and North Africa. Sixty million Americans liked these ideas enough to choose their progenitor, Trump, as their next president. But not the failing New York Times’ anon. Smoke him out, Mr. President. Clean house, for once. The Deep State is a legitimate concept. It refers to the intractable, permanent state—the bureaucracy, or the unseen, unelected Juggernaut that reflexively maintains the status quo in government departments. I first heard the concept in 2014, on … yes, PBS, courtesy of PBS’s Bill Moyers, who is considered an august force on the Left. On the Right, the great James Burnham wrote about the Deep State in 1941, except he termed it the Managerial State. Reflexively, Trump supporters grasp the nature of the extra-constitutional processes and forces that make voter-supported change near impossible. Intellectually, most ordinary Trump supporters will find it hard to explain a concept like the Deep State, The Managerial State, etc. For that, a contemptible coward, Gary Tuchman of CNN, mocks these Americans in a most cruel and asinine way. This segment is statist Big Media in all its contempt for ordinary, sensible folks. Tuchman’s Deep State mention is 2:14 minutes into this segment, when this contemptible man becomes particularly ugly and patronizing with a Trump-supporting lady. Again, it’s 2:14 minutes into the segment. Why don’t you pick on thinkers who can explain the concept, you coward? !